De Ville Lodge offers elegant self-catering accommodation to both leisure and corporate visitors to Franschhoek, Western Cape. Our beautifully decorated self-contained units are fully equipped for a "home from home" stay. 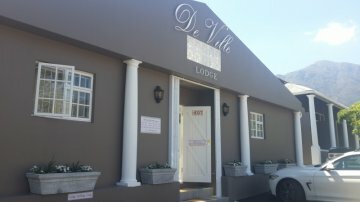 Our central location allows for indulgence of this quaint village as well as exploring the unique shops, enjoying the delicious local foods and wines and experiencing many adventures it has to offer. Local restaurants, shops and exciting outdoor activities are in close proximity, as well as several local landmarks and historical buildings that are a short walk away. 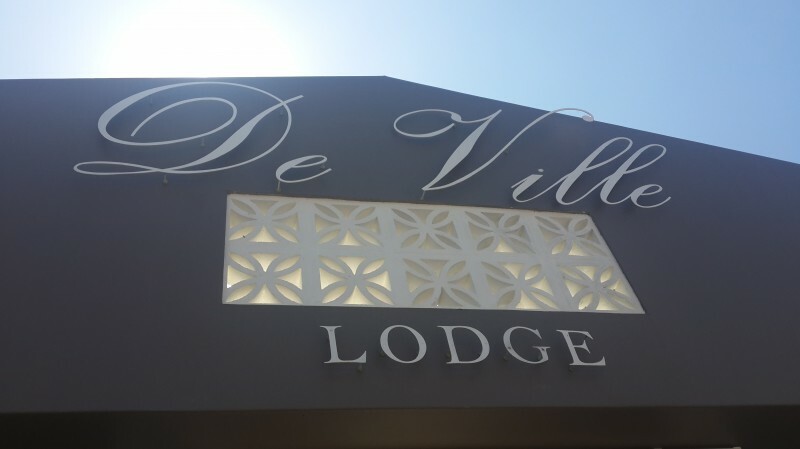 De Ville Lodge is conveniently situated to a few convenience stores offering the comfort to have everyday commodities just around the corner. Our fully equipped self-catering rooms offer modern fittings and fixtures with well-quipped kitchenettes with a dinette and seating area, and elegant en-suite bathrooms. We also offer a hotel compact DSTV package, free Wifi etc.